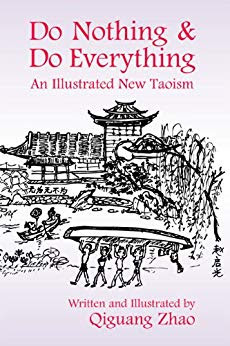 Qiguang Zhao’s Do Nothing & Do Everything: An Illustrated New Taoism is a chatty, comfortable exposition of Taoism. Zhao uses a great many examples from everyday life; he is showing us, quite clearly, that Tao is about living. It is a philosophy or religion to take everywhere in existence, because the Tao, the Way, is everywhere in existence (and nowhere too, but that is another story). Zhao’s book is a pleasant and often corny read.